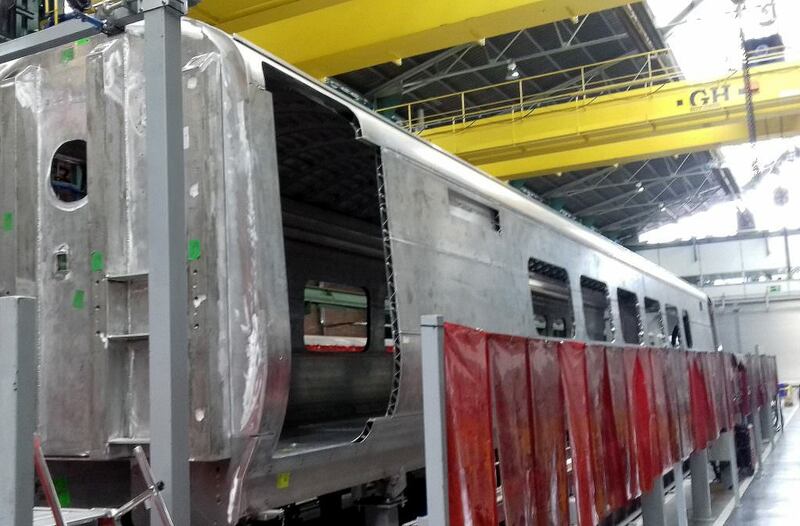 TransPennine Express (TPE) has released a photo showing the first completed Mark 5A bodyshell. Spain’s CAF is building 66 Mark 5A locomotive-hauled carriages for TPE. Due to enter service in 2018, the five-car trains will be hauled by Class 68 locomotives sub-leaded from Direct Rail Services. Beacon Rail both owns the Class 68s and has financed the new carriages. As well as the Mark 5A coaches, TPE has ordered 19 bi-mode Class 802 units from Hitachi and 12 Class 397 EMUs from CAF. TPE managing director Leo Goodwin said: “It’s great that our plans are now becoming reality and I want customers in the North to know that our new trains plus more seats are on the way.